Newly single billionaire hedge funder Bill Ackman looks to have scored himself yet another unit at the iconic Beresford building on the Upper West Side, where he and his estranged wife already own a unit. 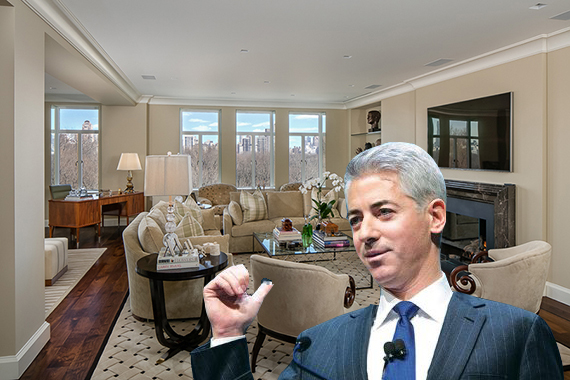 The Pershing Square Capital Management founder shelled out $13.5 million, or $4,632 per square foot, for a three-bedroom apartment on a lower floor of the building at 211 Central Park West, according to property records filed with the city Friday. He and his ex, Karen Ann Herskovitz, have lived at the property since 2006, when they paid $26 million for their three-bedroom duplex. 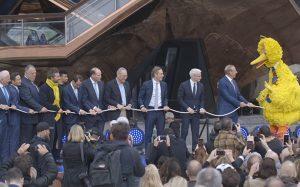 The deal set a price record for the building at the time. Ackman can’t seem to take a large enough bite of Manhattan real estate. He can add the second Beresford unit to his already extensive residential holdings, which include the $91.5 million One57 apartment he bought with partners in 2014 and a $17 million penthouse at 420 West Broadway purchased in 2015 from Drew Katz, the same investor who warned him that there were systemic pricing issues at Valeant Pharmaceuticals. His hedge fund lost over $4 billion on the bad pharmaceuticals bet. Ackman appears to have gotten a bargain on his most recent deal. The Beresford unit had been on the market since March 2016, asking $18.95 million. The sellers are Stephen and Laurie Vogel, who bought the unit for $6.6 million in 2013, records show. Marcia Donen Roma of Fox Residential Group had the listing. She was not immediately available for comment. The 2,914-square-foot unit has eastern and southern views that span across to Fifth Avenue down to Central Park South, according to the listing. Other residents of the building reportedly include Jerry Seinfeld and Glenn Close.